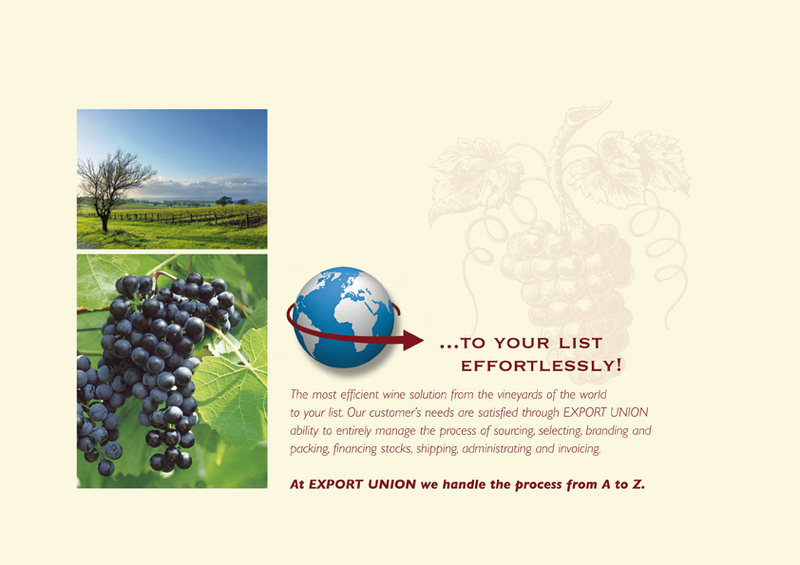 Export-Union International Wines can provide your complete wine solution with dynamic supply capability. At the heart of our business is the company’s Bag-in-Box specialisation: We are rated one of the most technically competent fillers of wine into Bag-in-Box. Export-Union International Wines strives to be one of the lowest cost operators in its field, supplying either a customer’s chosen wine or its own brand, sourced from preferred suppliers around the world. Production and sales of bottled and bottled wines take place through our international network of exclusive suppliers and distributing agents. We offer full service from producer’s cellar to client’s warehouse for customers who want to market products under their own label. Our service includes supply of packaging materials, logistics and handling. Buying and selling bulk wines from all over the world at up-to-date market values is our core competence. We use our wide network of reliable and well-known producers in numerous countries.